CLOSEOUTS. 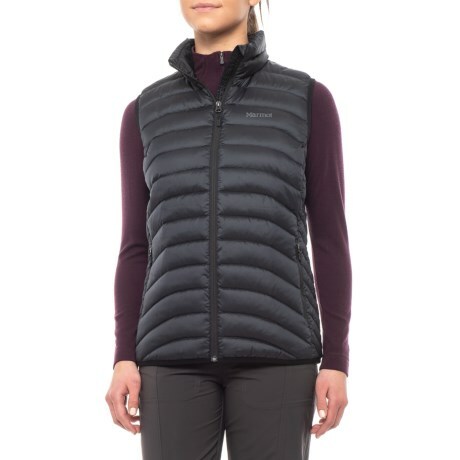 Marmotand#39;s Aurora down vest lends the cozy core warmth of 600 fill power down insulation to chilly days. Available Colors: BLACK, GLACIER GREY. Sizes: L, XL.